Finding a job should be easy and fun, and so should building the website for the startup that is offering these services. 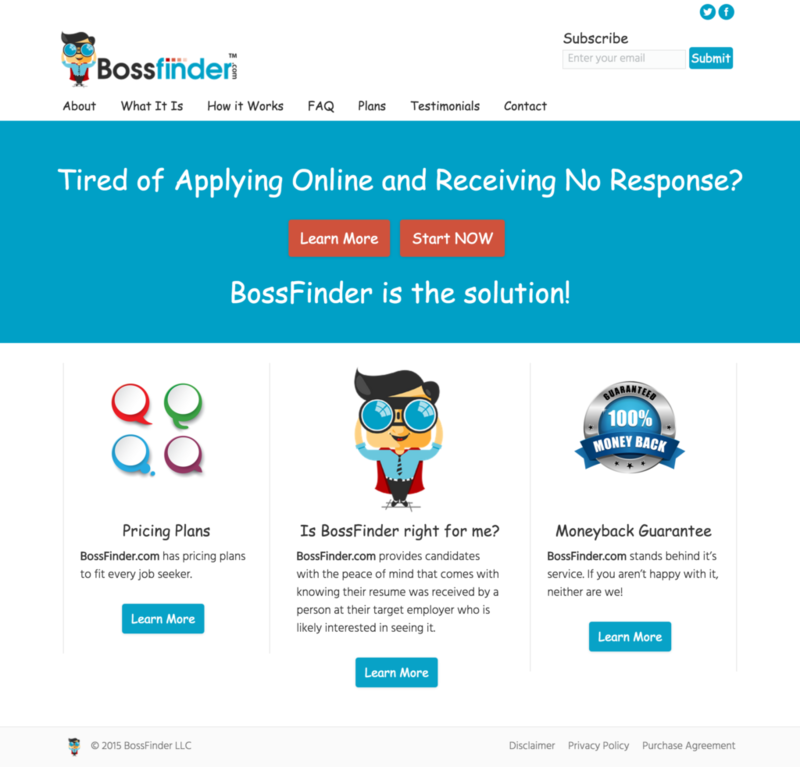 Bossfinder is a new startup for those on the job prowl to receive customized and real contacts to secure their next job. We built their website, with a payment gateway to purchase their services and a funky and playful design to bring life and joy to the job search!